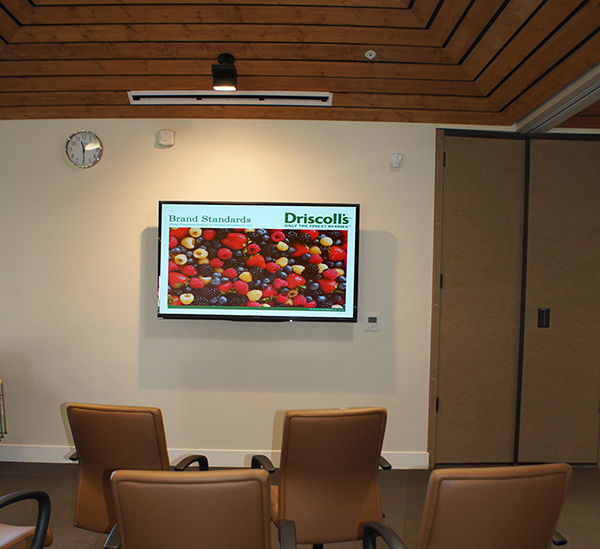 AV-integrators designed the AV system for Driscolls Strawberries new conference center at their Cassin Ranch research facility in Watsonville, CA. The system features an HD projection system, an audio system with audio conferencing capability and wireless microphones, and flat panel displays for the divisible conference room areas. The room was pre-wired to accommodate video production equipment and the entire system is controlled by a custom Crestron touchpanel control system.